There's no Analog Factory without you guys!!! Thank you for all that you have done for us thus far! If recording studios were animals, then The Analog Factory would be a honey badger. Tucked in a discreet industrial building in the sleepy estate of Woodlands, The Analog Factory can, at times, feel out of place in utilitarian Singapore. Rising up at a time when recording studios worldwide are closing down, The Analog Factory represents a new wave of optimism and non-conformance–clawing back against an institutional economic machine. Indie, young, and run by an owner who fully dedicates himself to his venture, The Analog Factory aims to provide the best for their clients. 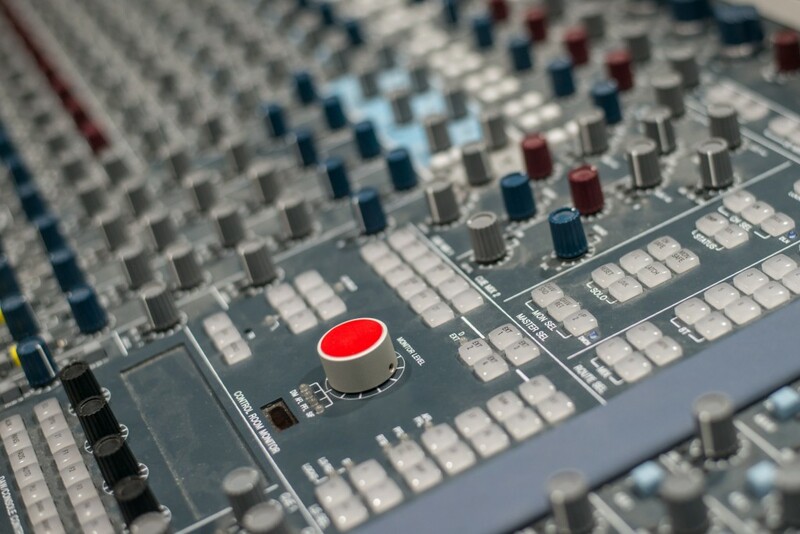 Equipped with an AMS Neve Genesys console at its core, the studio combines the flexibility of digital recording with an era where warmth and colour were highly prized. 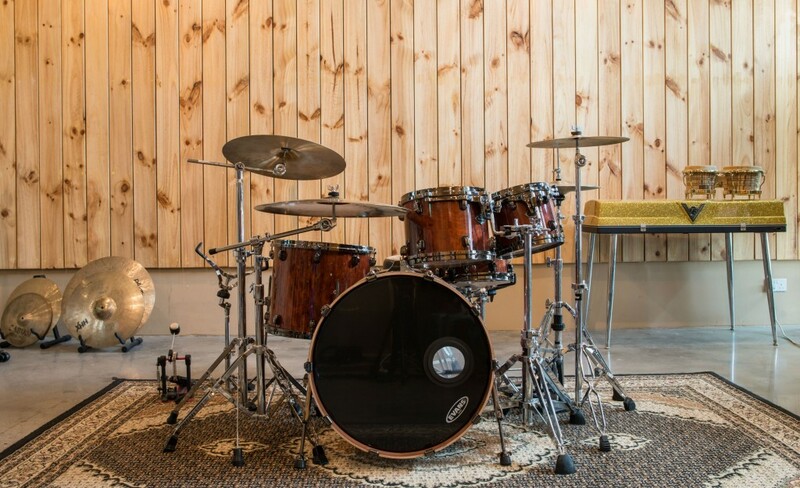 Unlike most studios in Singapore which focus on producing pop numbers with dry and clinical studio acoustics, The Analog Factory demands and directs the design of the space to capture the raw feel of musical performance, ambiance included. The studio was specifically envisioned to enable the recording of both pop numbers and small ensembles alike. 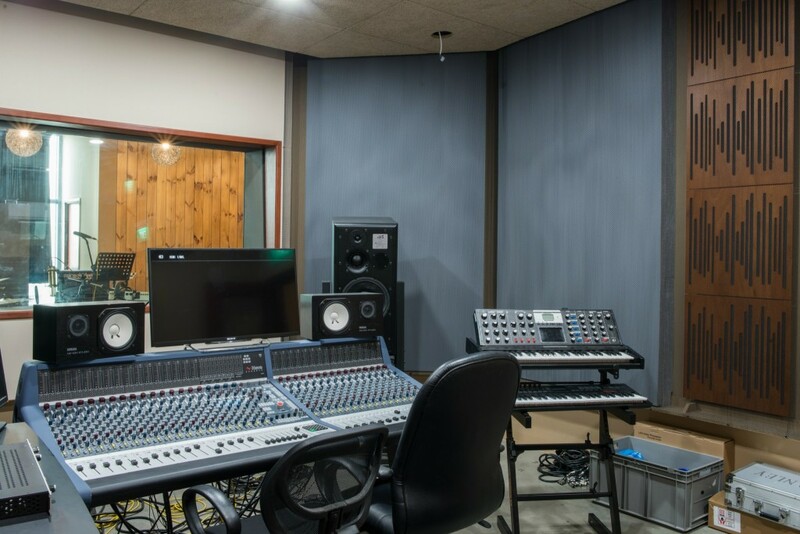 The owner had simple requirements: the studio needed to have unique acoustics and also sound good. A Reflection Free Zone (RFZ) paradigm was adopted for the control room. 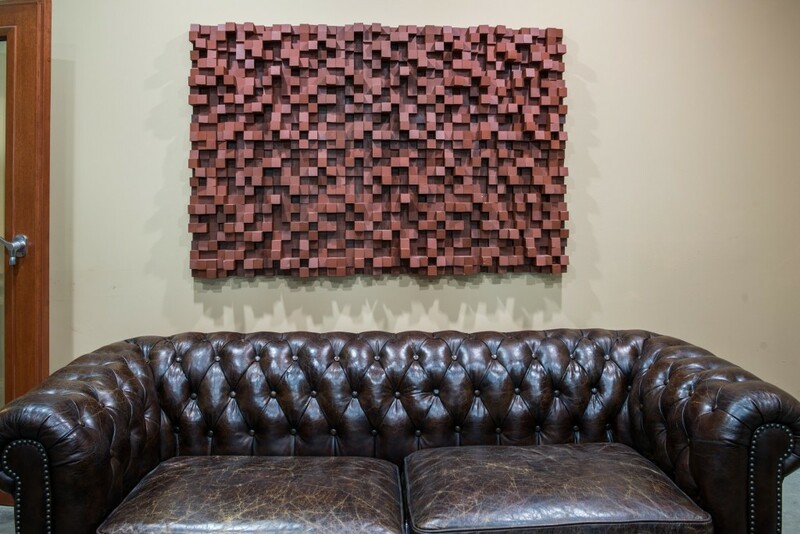 Wood wool panels, resonant bass traps, fabric panels, and acoustic diffusors were used to create an accurate monitoring environment. The studio walls were shaped to direct early reflections away from the engineer. Side wall panels were then covered in an acoustically transparent aluminum metal mesh, providing a degree of coherence to the look of the studio. The design consisted of timber slat resonators with insulation spaced 150 mm from the studio walls. A clear coat of varnish was applied to the planks to reduce their high frequency absorption. 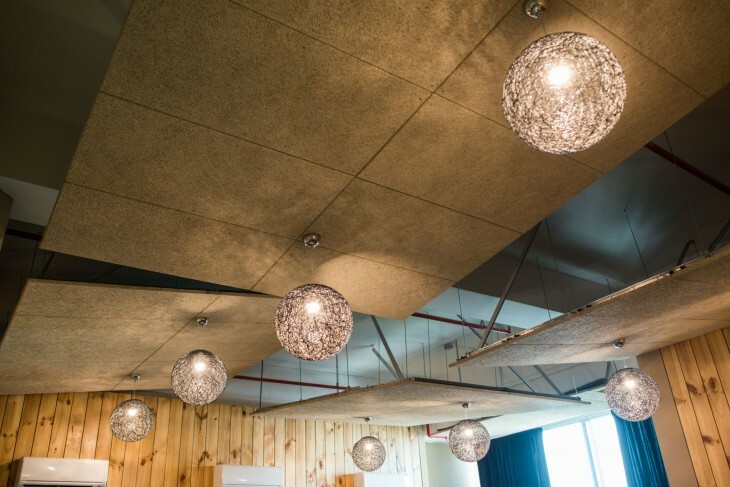 A canopy system composed of wood wool panels was introduced and designed to allow variation in acoustics across the length of the room. These panels were hung at different heights and angles–allowing a variation of ambience in the space. Velour curtains were then introduced to allow additional acoustic control. Contrastingly, the lounge area had little to no acoustical treatment done. The room needed no further enhancements since its screed floor and painted walls already doubled as an echo chamber where special ambience could be recorded. Acoustical isolation and soundproofing was also important for the studio. This was accomplished in the live room and control room through the use of acoustical partitions up to 400 mm in thickness. A sound lock between the live room and the lounge area was also created with a pair of acoustic doors. 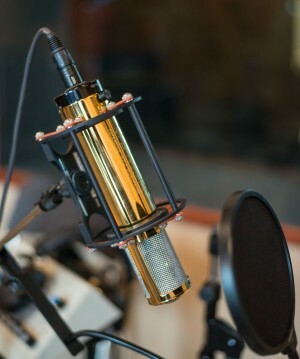 All in all, these efforts resulted in a well-equipped studio excellently capturing the magic of music; a new beginning for sound in recording.